Especially sweet high-performance wicking socks that show off their love of Venturing! While supplies last, any Venturer who recruits a new youth into the Venturing program will receive a pair of Venturing “I’m In Tents” socks. The new recruit gets a pair too! To claim your pair, bring your fresh Venturing buddy to Urban Adventure on September 15 or use the contact information on this page. 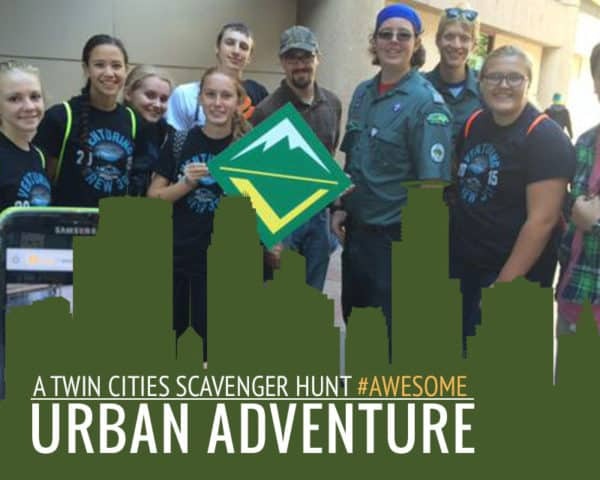 A race and scavenger hunt around the Twin Cities.